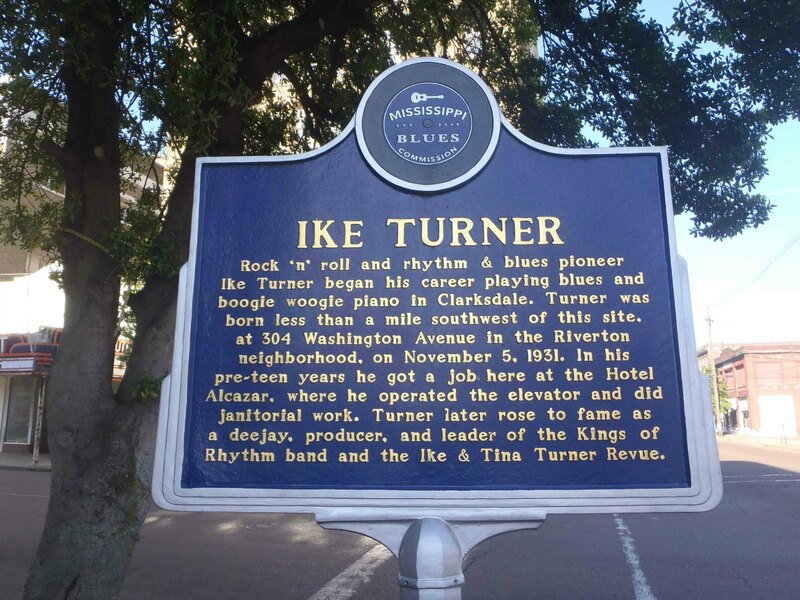 This Mississippi Blues Trail marker commemorating Ike Turner is in Clarksdale, Coahoma County, Mississippi. This Mississippi Blues Trail marker is outside the Alcazar Hotel, 121-123 3rd Street, Clarksdale, Mississippi. Ike Turner is probably best known for being part of Ike and Tina Turner Revue and for the circumstances surrounding the breakup of his marriage to Tina Turner, but he made important contributions to the Blues and American music before his marriage to Tina Turner. Among his other contributions, he is credited with leading the band that recorded Rocket 88, a recording generally considered as being among the first rock n’ roll records, at Sun Studios in Memphis in March 1951. Although Rocket 88 is credited to Jackie Brenston and His Delta Cats, Ike Turner was the main creative force in that band. 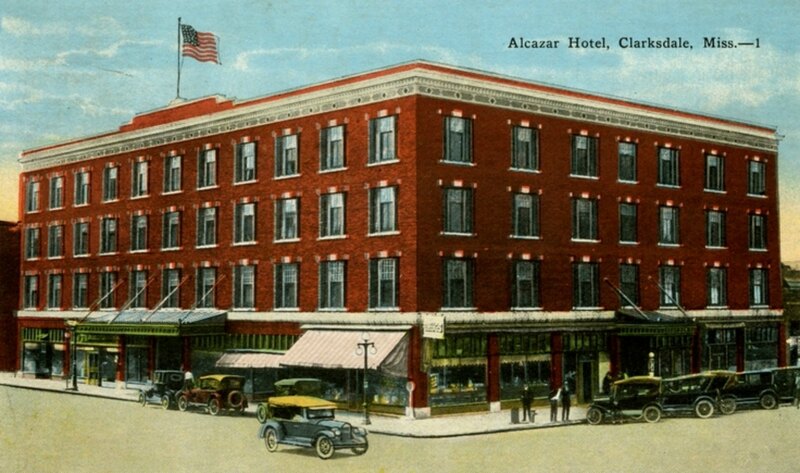 The Alcazar Hotel was built in 1913 and is currently on the Mississippi Heritage Trust’s list of most endangered Heritage Buildings. Recent tenants include WROX Radio. 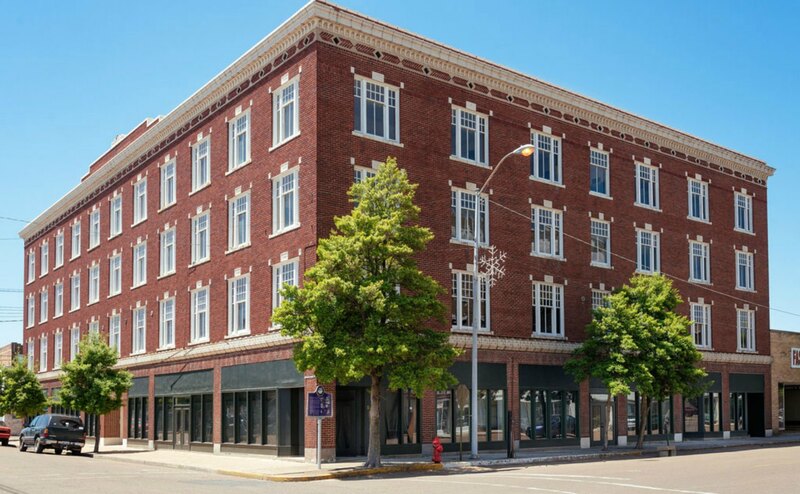 Other sites related to Ike Turner in Clarksdale are the building occupied by WROX Radio from 1945 to 1955 where Ike Turner worked as a janitor and later as a DJ; the Riverside Hotel, where Ike Turner lived and where he rehearsed the song Rocket 88 before going to Sun Studios in Memphis in March 1951 to record the song, credited to Jackie Brentson and his Delta Cats. Party Time TV show, St. Louis, 1959, with Ike Turner & the Kings of Rhythm as the house band. Includes original commercials.